JCF-Z Continuous-Flow Rotor, Titanium, Standard Pellet Core. Major Applications: Large viruses, mitochondria, tissue homogenates, bacteria. Includes Standard continuous-flow core (pellet size 200 mL), standard-flow rotating seal assembly, and tool kit. Bracket kit required for use with Avanti J Series centrifuges, and pump system required for all applications. 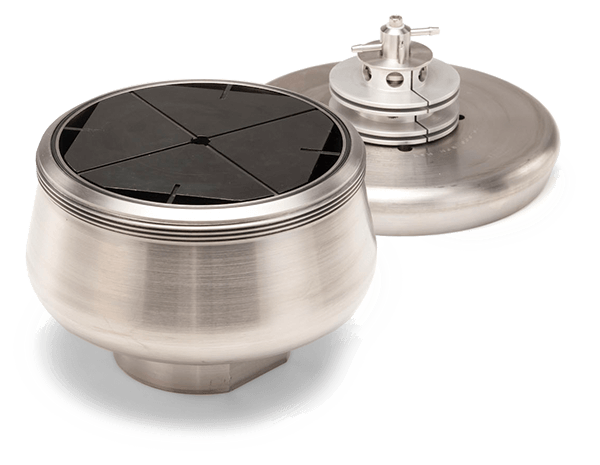 For use in Avanti J Series (except Avanti J-E) or the discontinued J2 Series (except J2-HC) centrifuges.